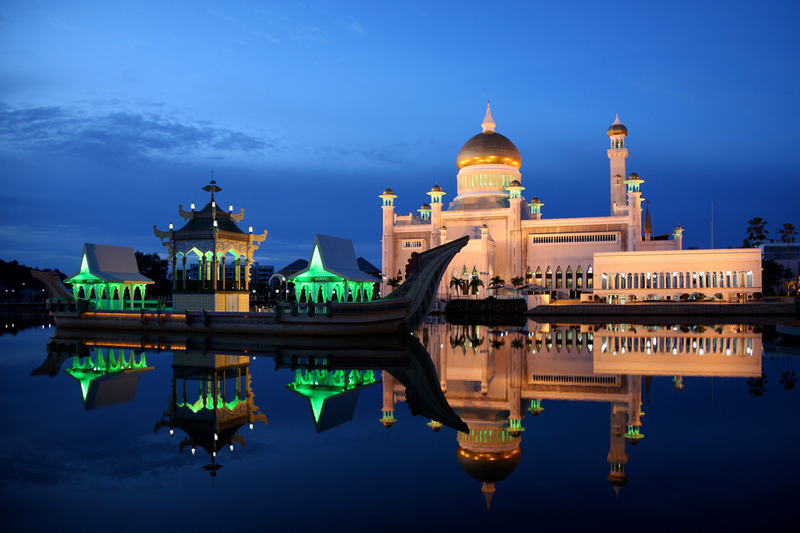 Tourist landmarks in Brunei are mainly rich historical heritage. 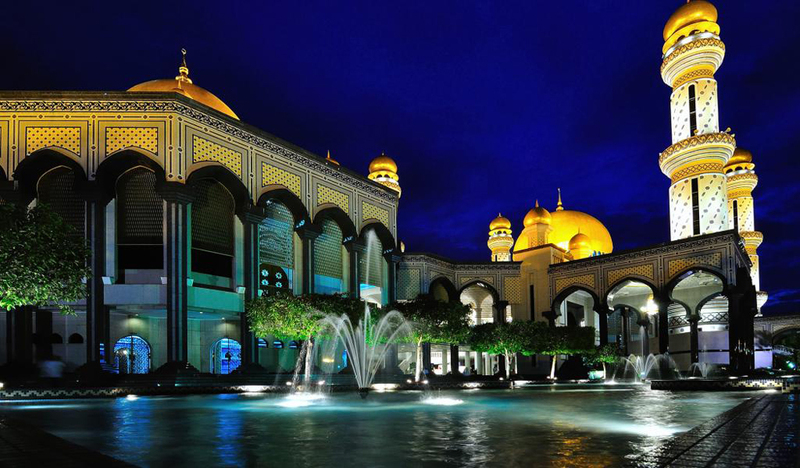 Brunei Sultanate located on the island of Borneo (Kalimantan) Indonesia borders the south and west Malaysia, although sights in Vietnam is closer in line to the north. 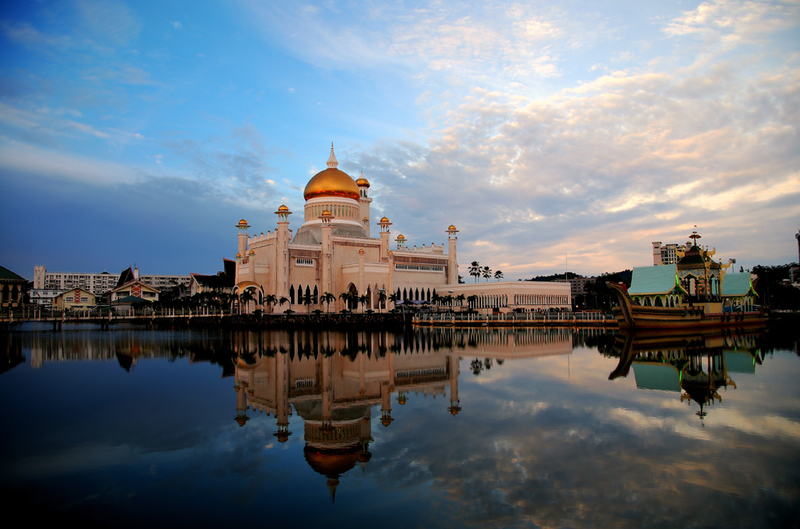 The relief of Brunei is mostly flat with the exception of the south, where Mount Mulu rises above the equatorial evergreen forest. Small area of the country is divided by four major rivers that divide the country into four regions. 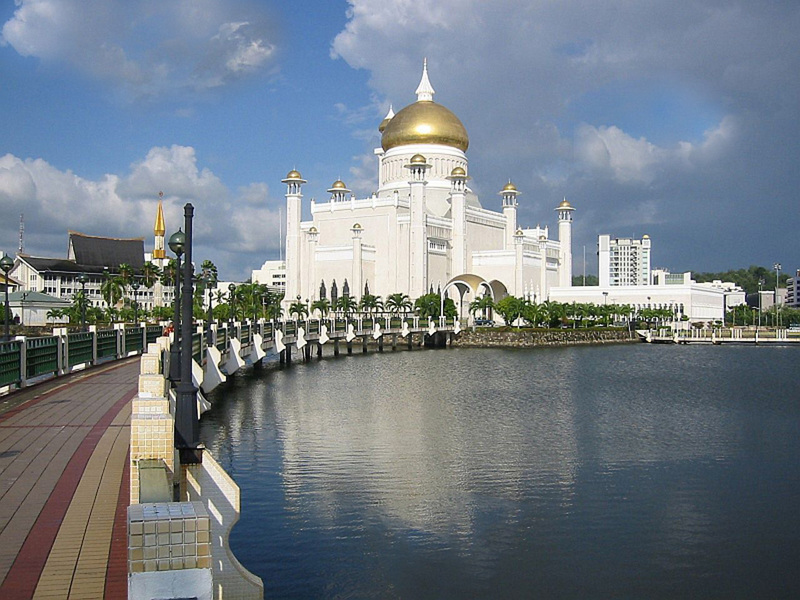 The largest river is said Belait, other rivers are Tamburong and Tutong River, which runs through the capital Bandar Seri Begawan. 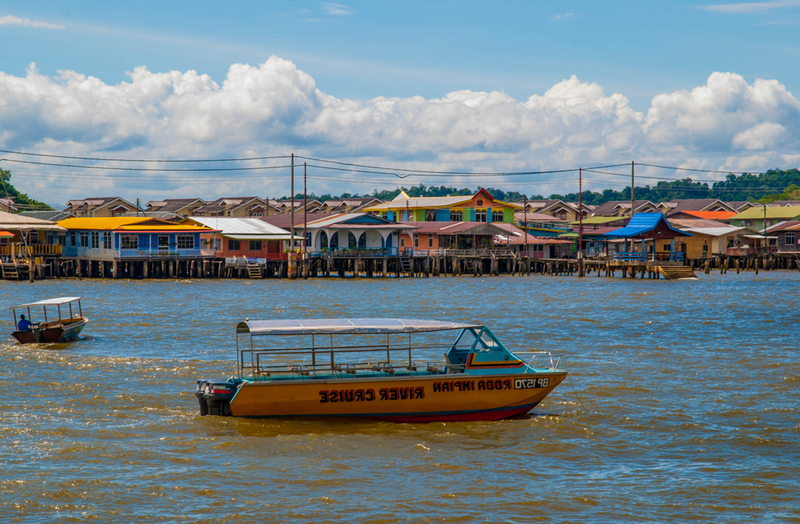 If you are able and boat along the water village Kampong Ayer to see how they live 10% of the population in the midst of the river. In this interesting living area has over 4200 buildings built on stilts over the water. This village has existed for 1300 years, some of the houses are typical for this area decoration. The climate is humid tropical monsoon often pass through the country, bringing rainfall 1500 - 2000 мм during the summer months (June to September). 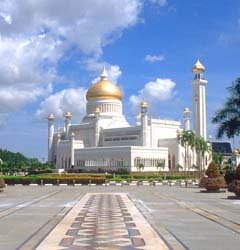 The most interesting landmarks in Brunei are the magnificent buildings built in the last century. While the country is covered by forests, and several parks, tourists do not enter these areas. They were impressed by the wealth and splendor of the largest palaces in the possession of one of the richest men in the world. 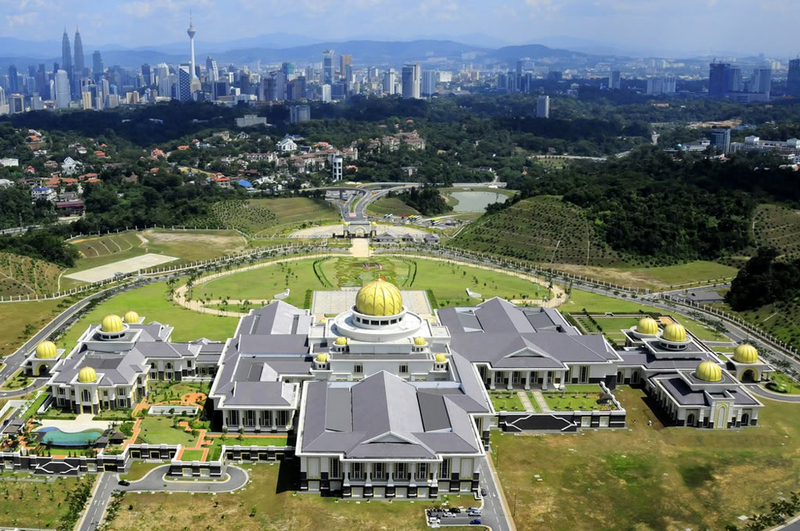 The official residence of the Sultan of Brunei's Istana Nurul Iman. According to experts it is one of the largest residential palace in the world. There are 1788 rooms and 257 bathrooms. The building was completed in 1984. Somehow him as Sultan rooms, but to chase them with a lot of women. From the outside the building is notable for its beautiful Islamic architecture. 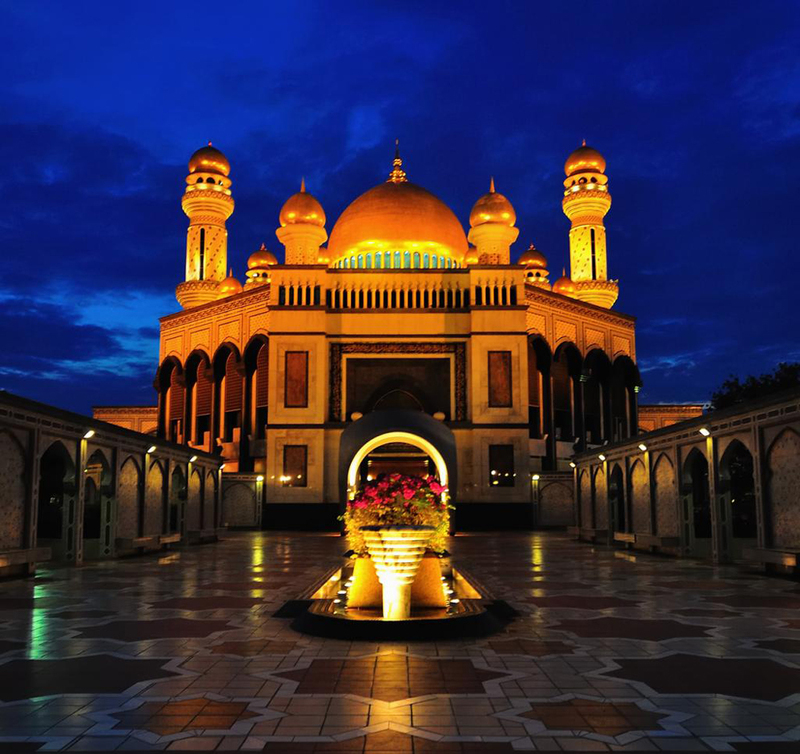 Interest are the remains of the old capital of Brunei - Darussalam - Kota Batu. 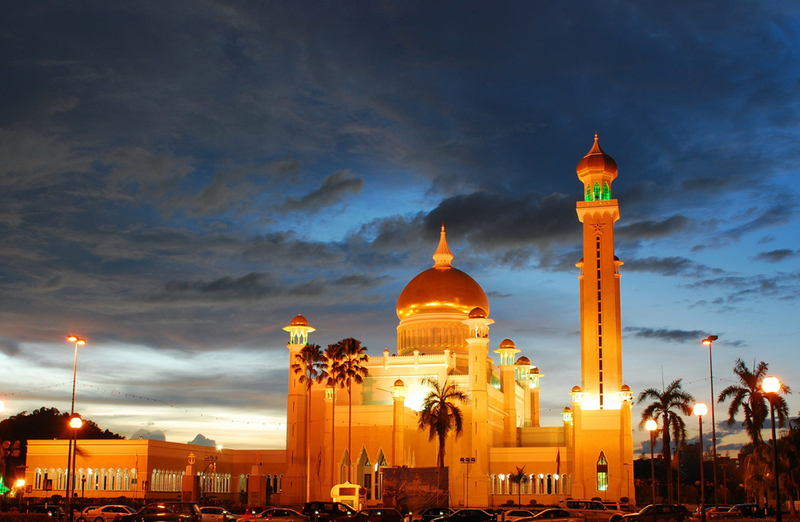 There are also several very large mosques that are extremely beautiful with rich decoration, exclusive to Muslim religiya. 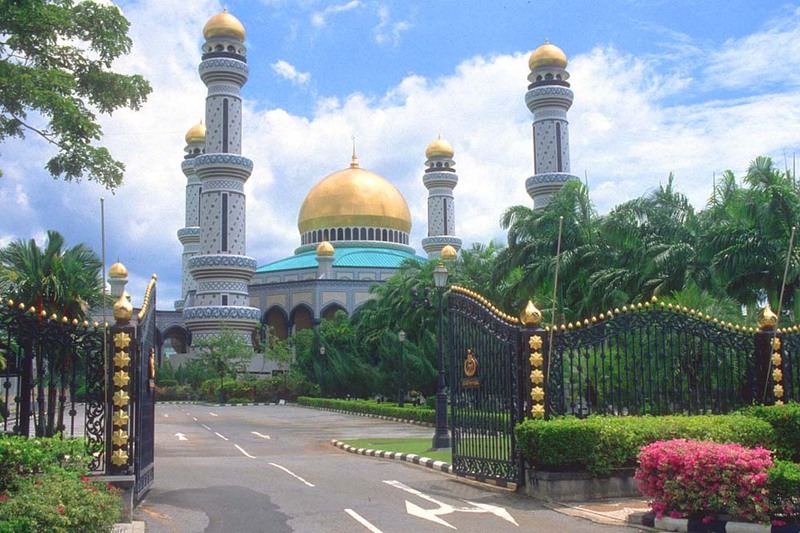 Tova are: Kiarong Mosque (Jame asr Hassanil Bolkiah Mosque) and Sultan Omar Ali Saifuddin Mosque. Another great building inlaid with gold Lapau. Impresses tourists with its largest scale domestic gold decoration, built in the 20th century. Our short walk will end at the museum Royal Regalia. Here you can see a large collection of objects of the Sultan of Brunei, his chariot, a crown and more. Let me just mention that all this wealth is due to the rich deposits of oil and natural gas that provide this important boost to the economy of this distant, exotic country.